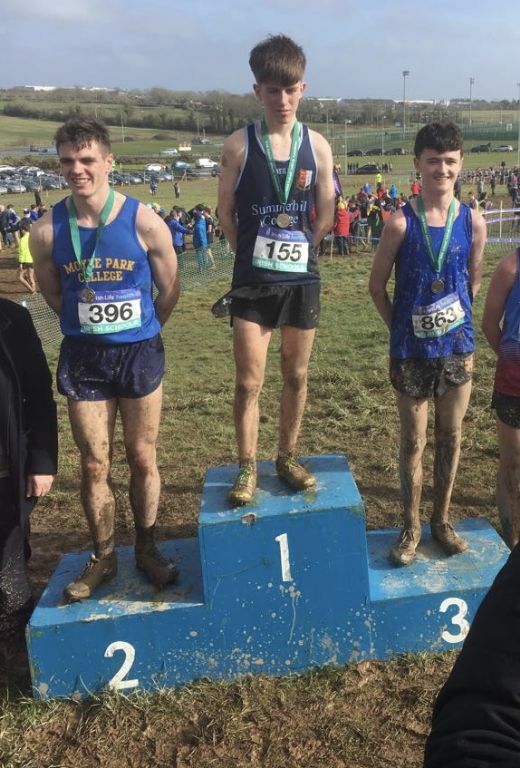 Miceal McCaul finished third in the Intermediate Boys’ Race qualifying for the Irish International team, as does Callum McDonagh who finished 9th in the Junior Boys’ race on Saturday. To sum up Miceal McCaul 3rd place and gets an Irish cap, Callum McDonagh 9th and also gets an Irish Cap. Junior team gets third overall. In the senior boys race although a year young Jack O’Farrell 9th and Tom Magee 12th.